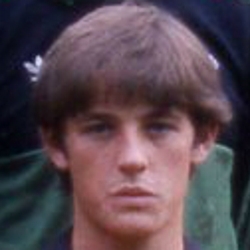 Alex joined United on an 'S' form from Blantyre St Joseph’s in 1978. Appearing in the reserves during the 1979-80 season, he made a good early impression which lead to his first appearance at first team level in a friendly against Hearts in February 1980. It was another eighteen months later that he made his competitive debut, in a League Cup tie against Motherwell in August 1981. A regular in the reserves, Alex again impressed during a pre-season tour of Scandinavia in July 1982, and was in the starting eleven in friendlies against West Ham and Southampton. Seen regularly on the bench throughout the 1982/83 season, he made only 4 appearances as United became Premier Division Champions. 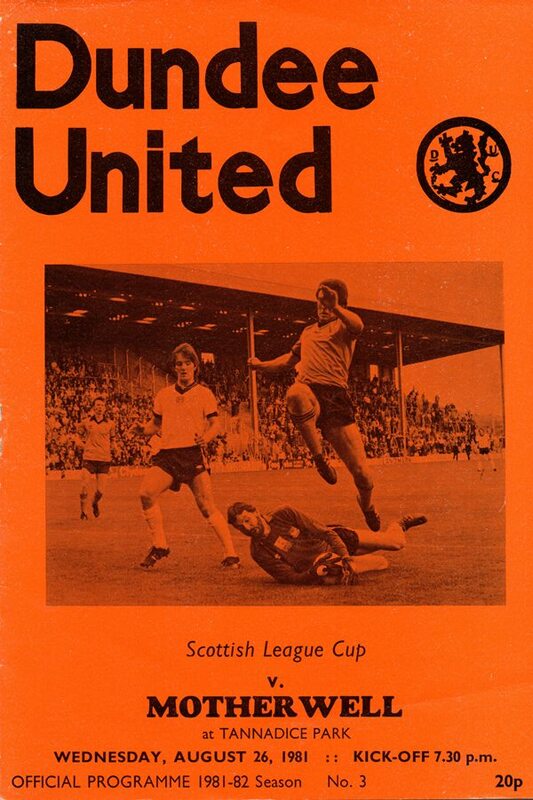 The young attacking midfielder continued to be a member of the first team squad, scoring his first United goal on the opening day of the 1983/84 season against Motherwell, as the club unfurled the Championship flag at Tannadice. He gained valuable experience on the bench for many of United's European matches in the early 1980s, making his Euro debut in United's first ever European Cup match, against Ħamrun Spartans in Malta. The 1984/85 season was arguably Alex's best in tangerine, with 21 starting eleven appearances and five goals. However, a difficult relationship with manager Jim McLean eventually lead to Alex's departure when his contract expired in the summer of 1985, and he quit football and began an accountancy course at Hamilton. However a year later he signed for Hamilton Academical, gaining United a fee of £40,000, and went on to collect a First Division winners medal and the First Division Players Player of the Year award. In August 1988 he joined Walsall, before returning to Scotland to sign for Falkirk, who won promotion to the Premier League in his first season there. Over the next few years he played for Partick Thistle, Raith Rovers, Ross County and Forfar Athletic before retiring in 2001. Alex was born on this date in Baillieston. Going into the final group stage match having already clinched the top spot, manager Jim McLean changed things up a bit. After making his return to first team action as a substitute against Partick, Paul Hegarty was given a place in the starting eleven for the first time since the Scottish Cup Final in May. Recent new signing from Stirling Albion George Nicol made his first team debut. Billy Kirkwood, Graeme Payne and Willie Pettigrew were also in, with Frank Kopel, Derek Stark, Ian Phillip, Richard Gough and Davie Dodds dropping out. 19 year-old Alex Taylor was handed a place on the bench. The unfurling of the league flag ceremony was the prelude to a championship style performance by United. It took almost half an hour for United to open their account when Billy Kirkwood bulleted a header past Hugh Sproat from a perfect Alex Taylor cross. Tannadice fans only had to wait until four minutes into the second half for the second goal. Another high scoring win came within days of that midweek derby win. However, this overwhelming victory by Jim McLean's men consigned his brother Willie's Cappielow side to the First Division by scoring five times without reply. The basis of United's victory had its foundations in the first half. Eamonn Bannon cut the ball back from a free-kick to enable Alex Taylor to strike the ball past McDermott and open the scoring. 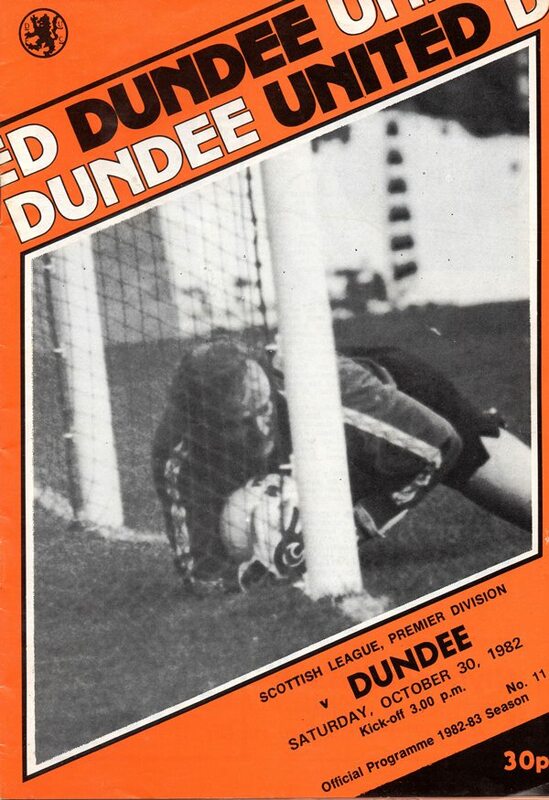 Our City neighbours gained their first victory over us at Dens Park since October, 1979, and even that might not have come about had Eamonn Bannon not missed a penalty kick.